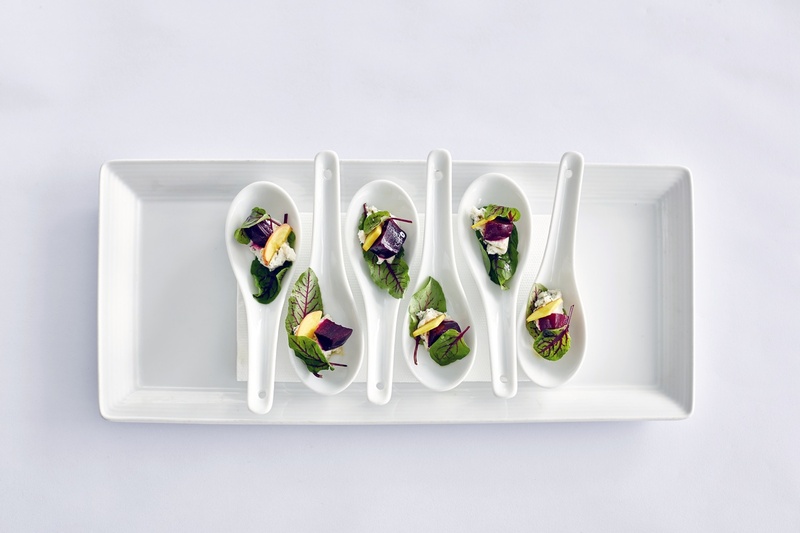 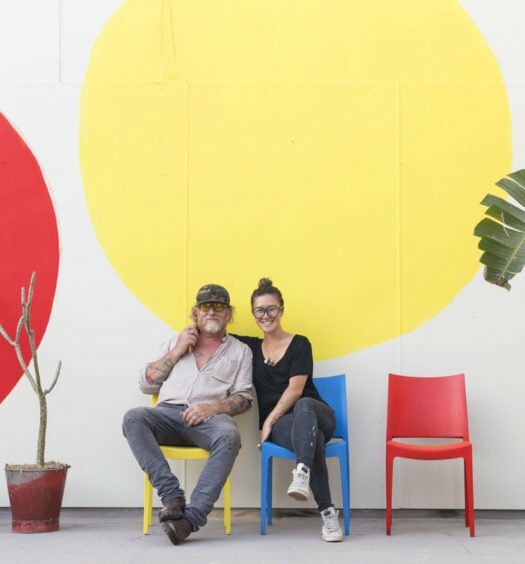 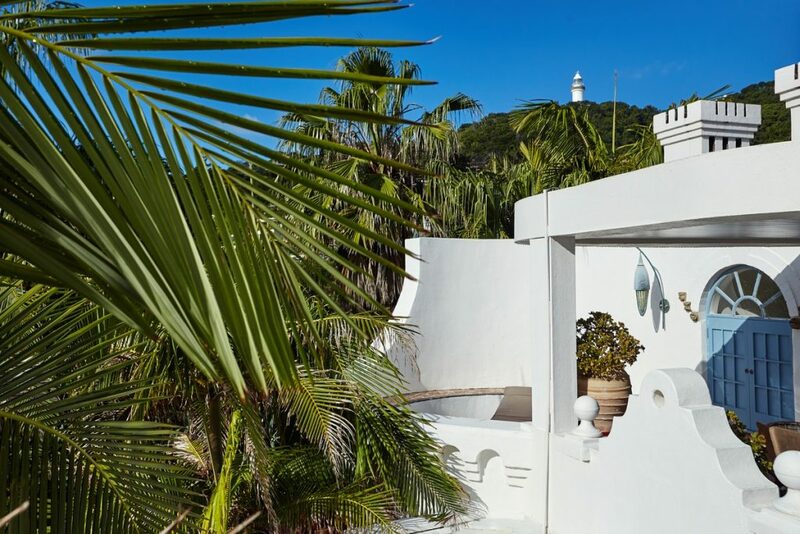 With its secluded ocean front location, a world-class restaurant and an intimate seven suite capacity, it’s no wonder Rae’s on Wategos is a favourite tropical getaway for the rich and famous. 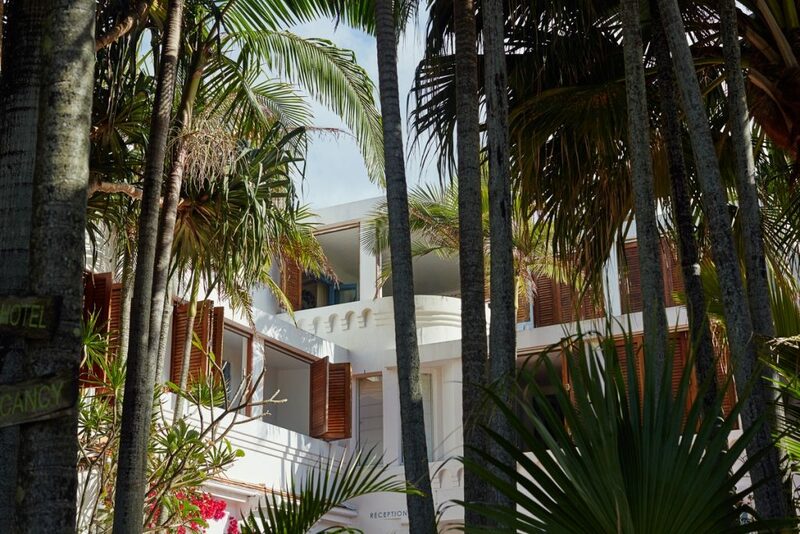 Tucked away in the Australia’s east coast resort town of Byron Bay, Rae’s has previously been voted one of the world’s Top 25 Hotels by luxury travel magazine Condé Nast Traveler, and has an impressive guest list of celebrities which includes Pink, Lenny Kravitz, Richard Branson, Kate Winslet, Richard Branson and Tom Cruise – and you only need to take a look at what’s on offer to understand why. 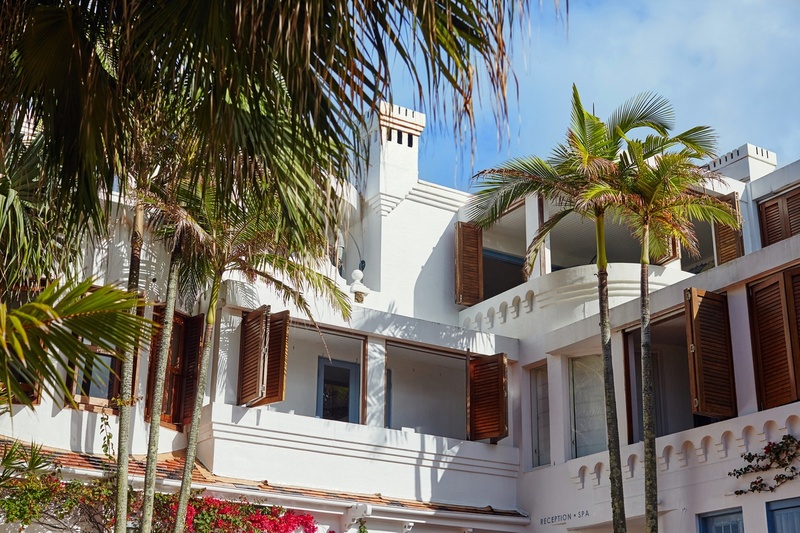 Overlooking the pristine waters of Wategos Beach which occupies the eastern most point of Australia (the first location in Australia to witness the sunrise), Rae’s is an iconic structure in this laid back resort town. 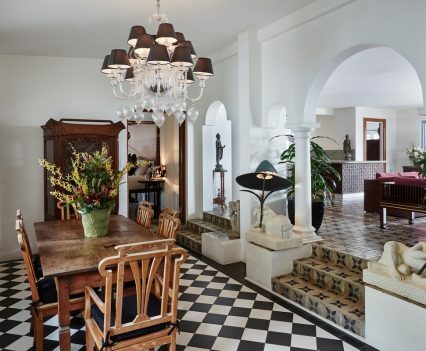 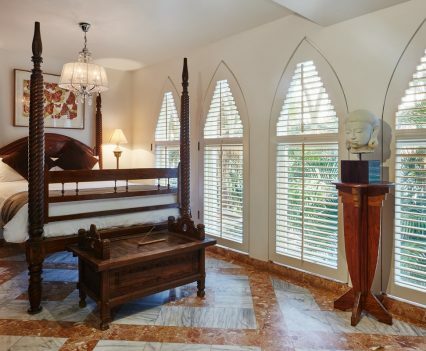 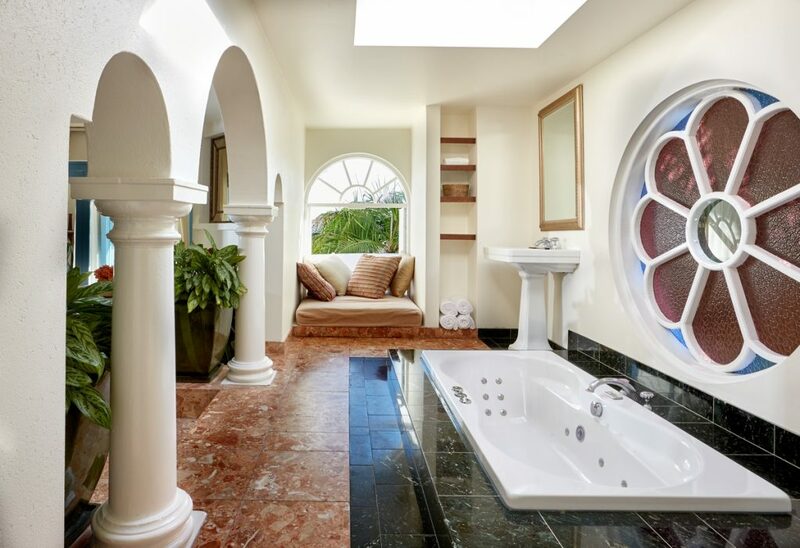 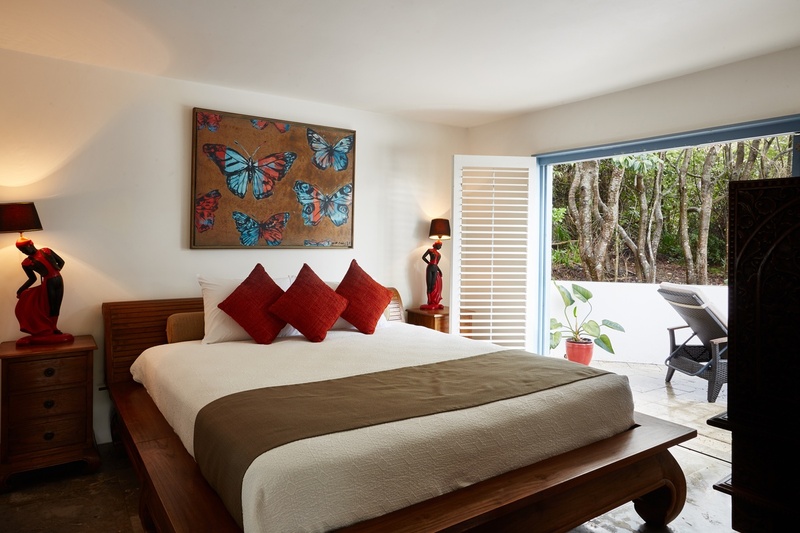 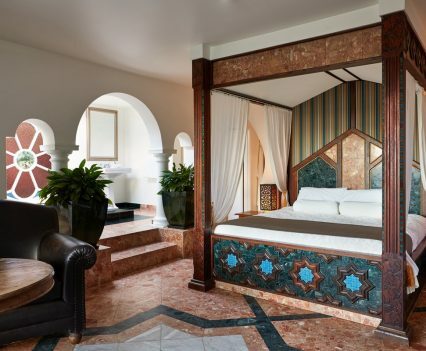 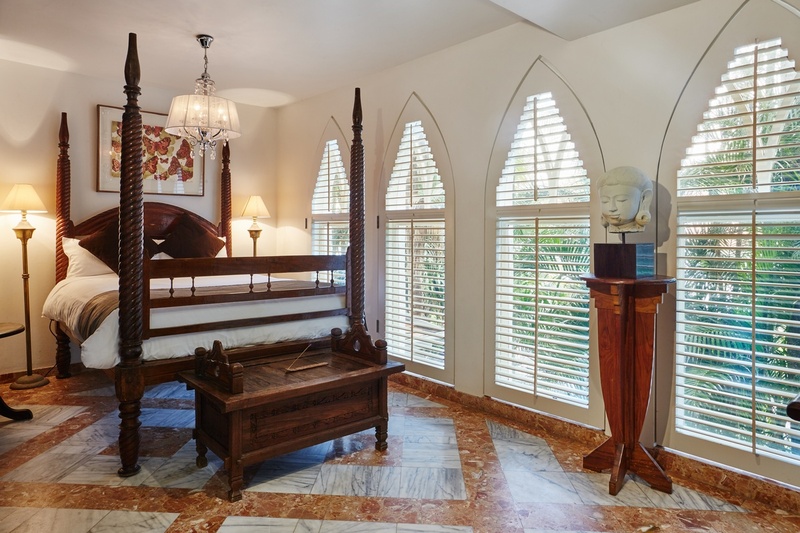 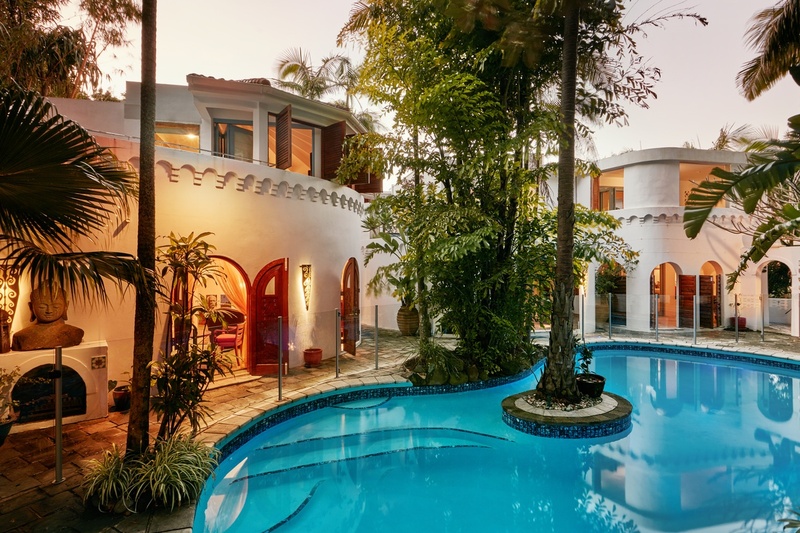 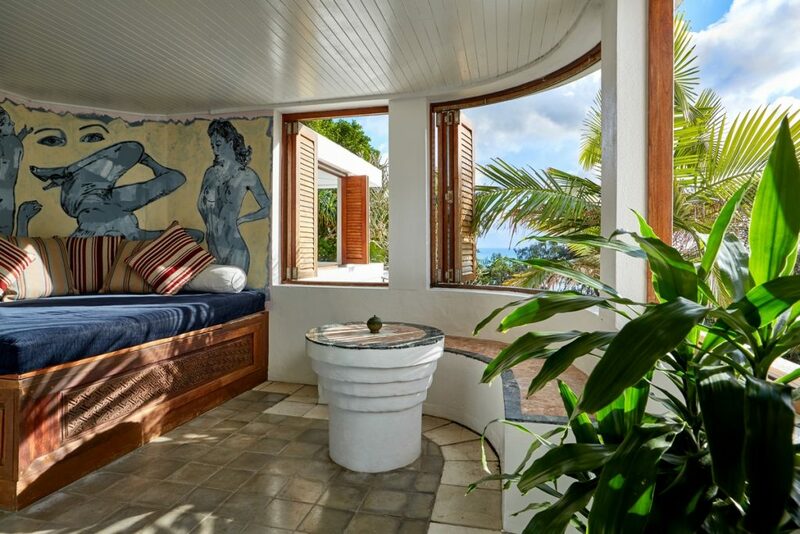 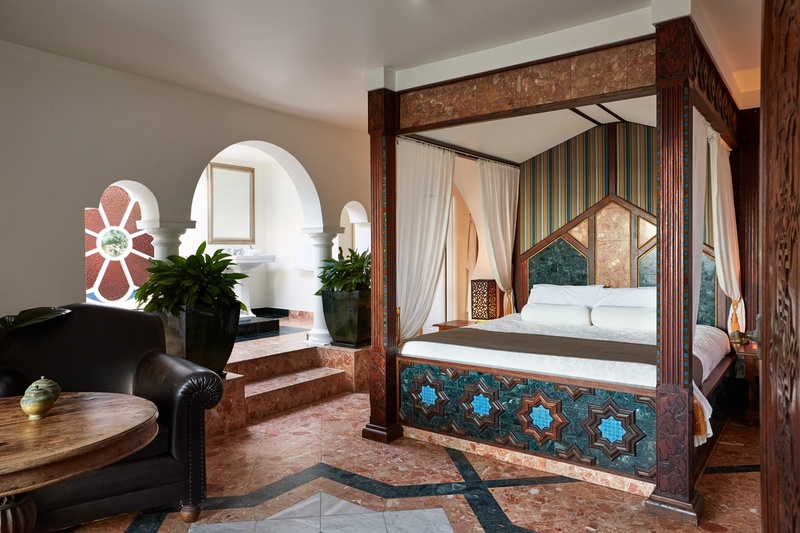 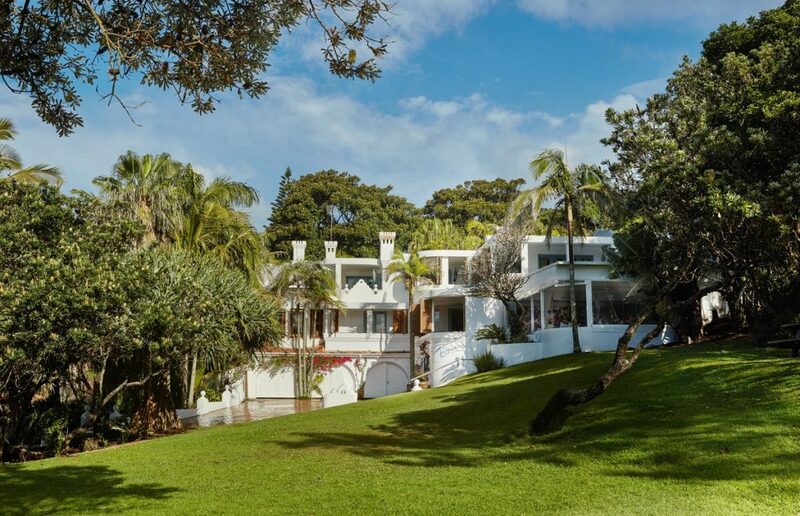 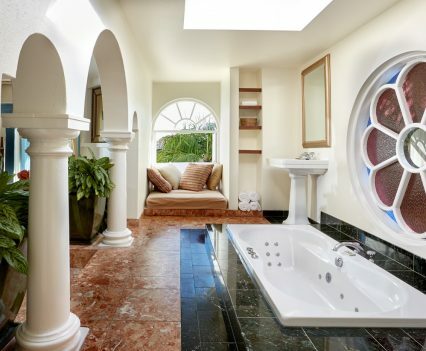 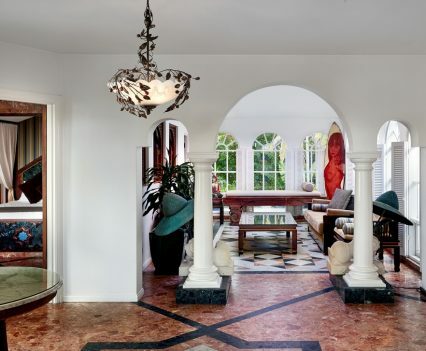 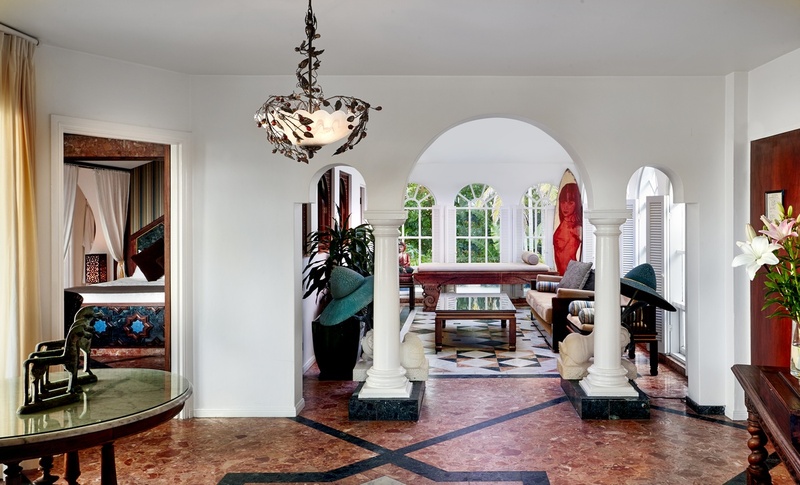 Built in the 70’s the crisp white Mediterranean style exterior features rounded archways, wide balconies and quaint shutters surrounded by lush tropical gardens that are said to have been designed by Salvador Dali. 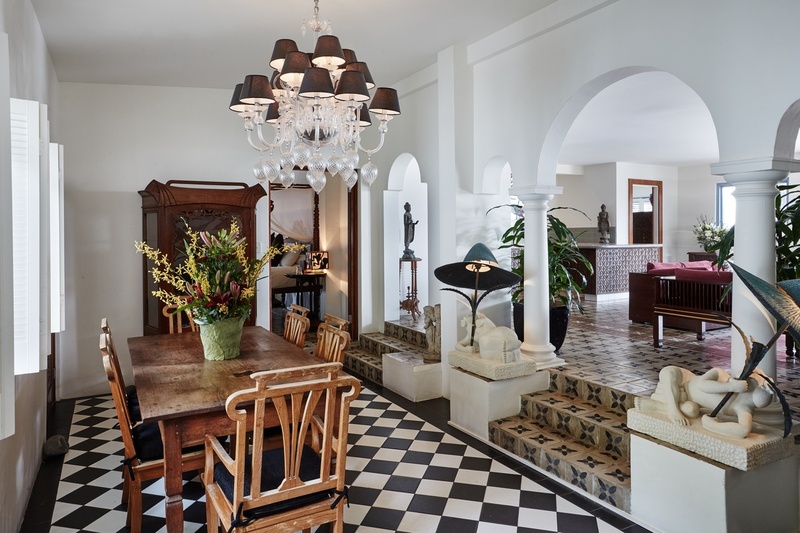 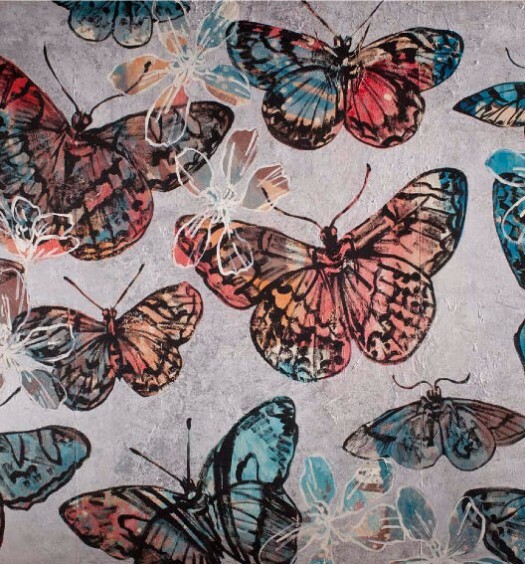 Styled in an eclectic combination of opulent fixtures and furnishings that include hand painted tiles, Italian marble and internationally sourced antiques, each of the suites have their own unique Bohemian style character which have been tied together with the work of iconic Australian artist David Bromley who resided in Byron for many years. 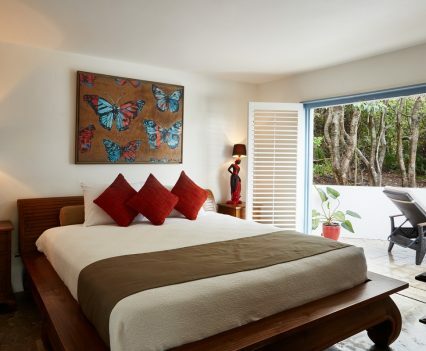 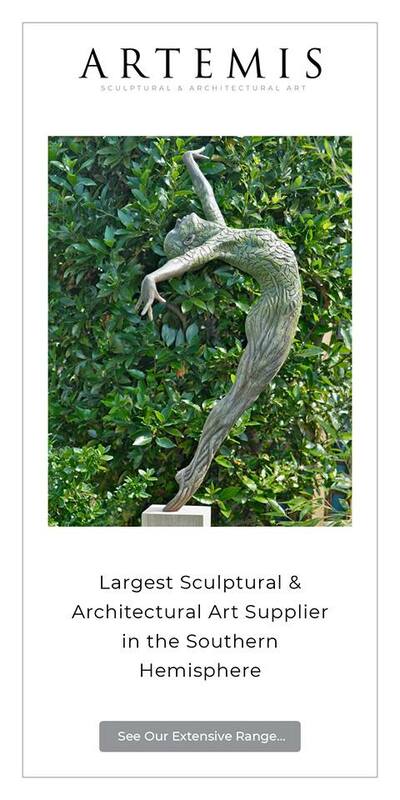 Offering more than just luxurious accommodation in private tropical surroundings, this unique retreat also includes a world class spa managed by renowned ‘Celebrity Facilaist’ Marionne De Candia who tailors treatments to your own individual needs, incorporating her own range of cosmeceutical products combined with Reiki to deliver the ultimate in body and mind rejuvenation. 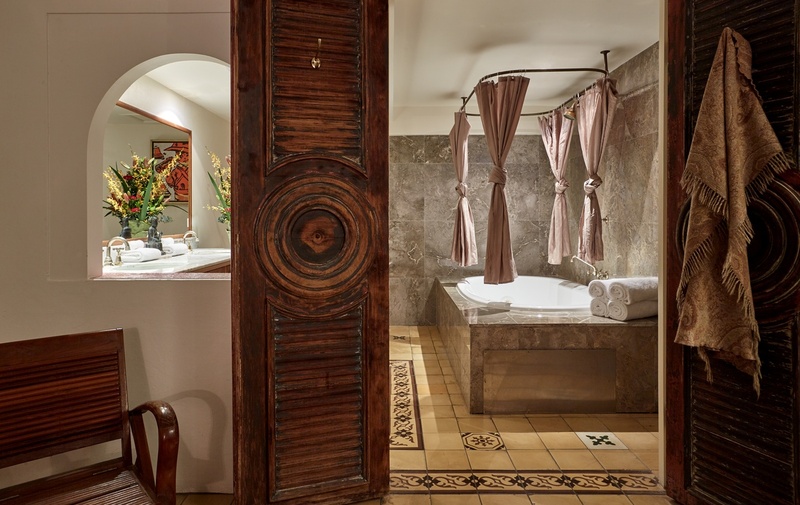 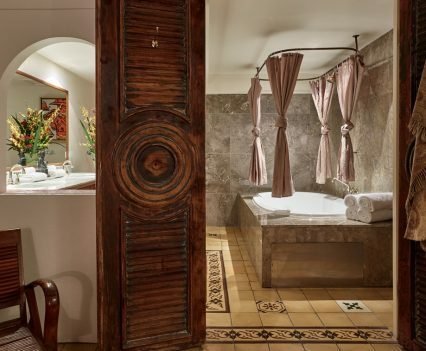 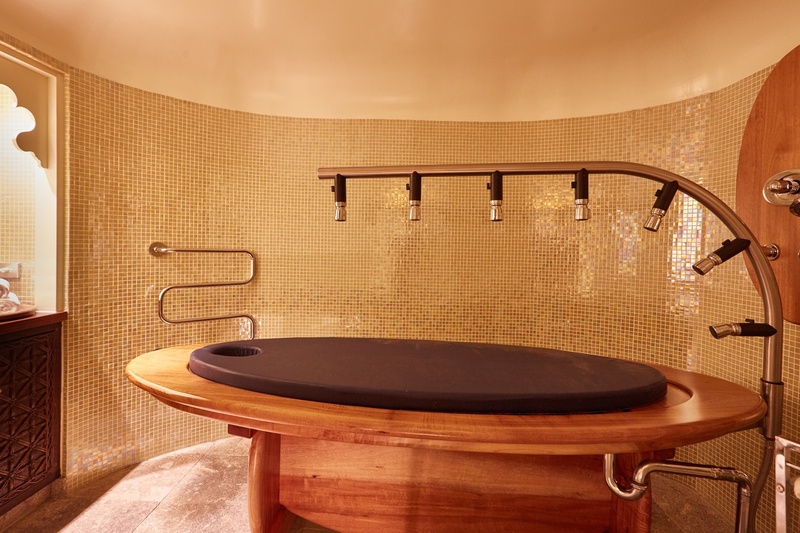 From the reclaimed maple timber Vichy shower to couples steam room with mother of pearl detailing, the spa rooms provide beautiful surroundings to unwind whilst enjoying some of the world-class treatments that have seen clients travel from far and wide to enjoy. 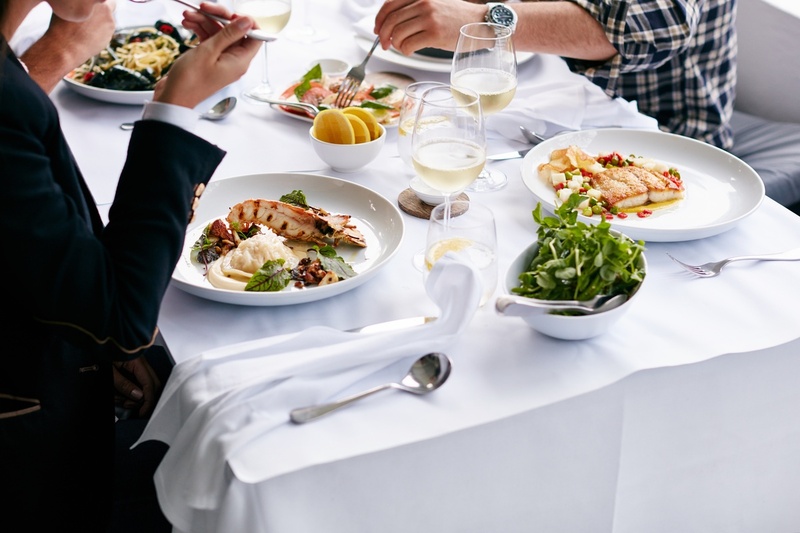 There is also the restaurant, with recent comments on sites like Trip Advisor touting Rae’s as the “Best Restaurant in Northern NSW”, “Amazing” and “Fabulous from Start to Finish.” Offering stunning views along with fresh local seafood, an impressive wine list and mouth-watering degustation menus, Rae’s has become the go to place not just for guests but for locals seeking exceptional food and service for long business lunches to romantic intimate dinners. 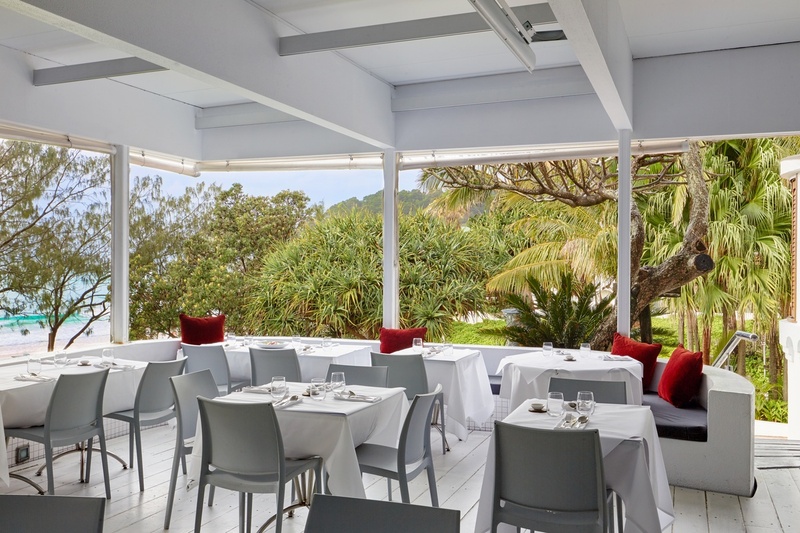 The pristine beachside location and lush tropical gardens offers the perfect location for weddings and private events and Rae’s can be exclusively hired with a minimum 2 night stay.